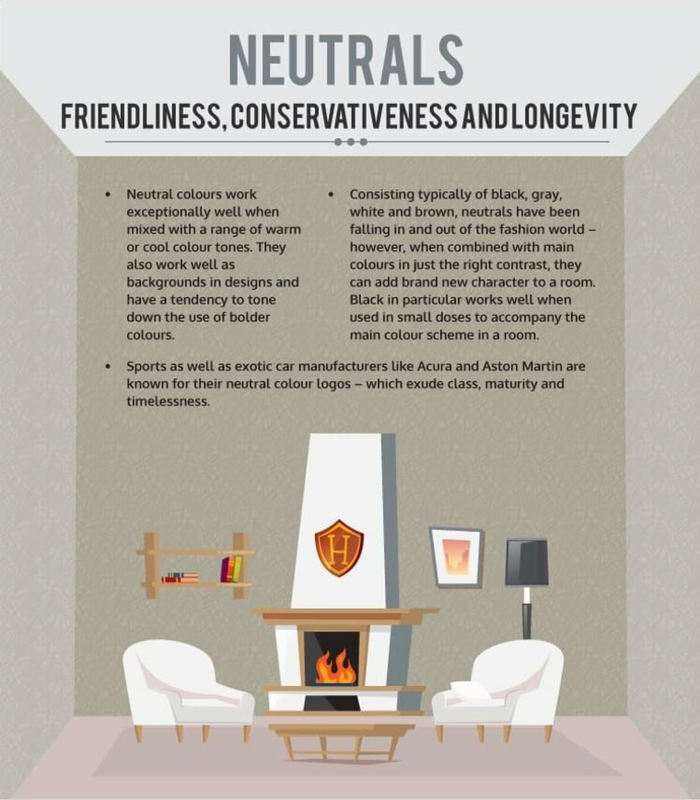 Studies have shown time and time again that colour can play a large role in mood. 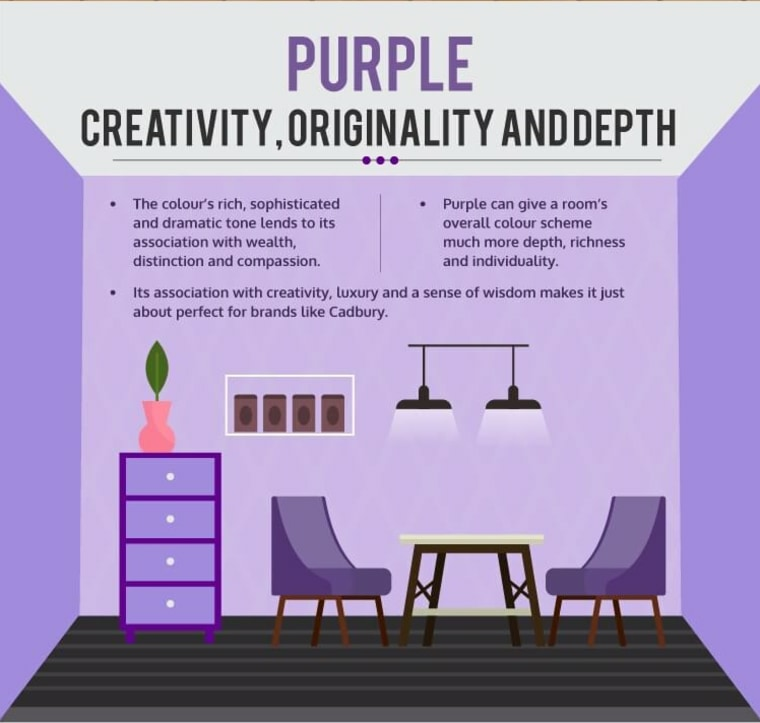 The right hue can add vibrancy and life to the dullest space, or even make a small room feel expansive; but how do you choose the perfect colour from the multitude of choices available? 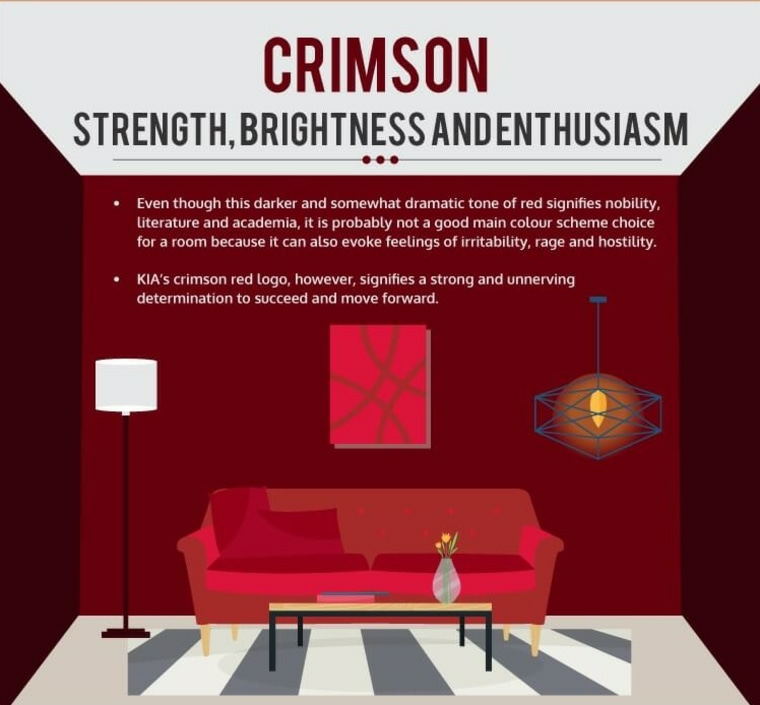 Studies have shown time and time again that colour can play a large role in mood. So if you want to liven up your home, then look no further: our round-up of colour profiles will help you narrow down the direction for your next decorating project or furniture investment. 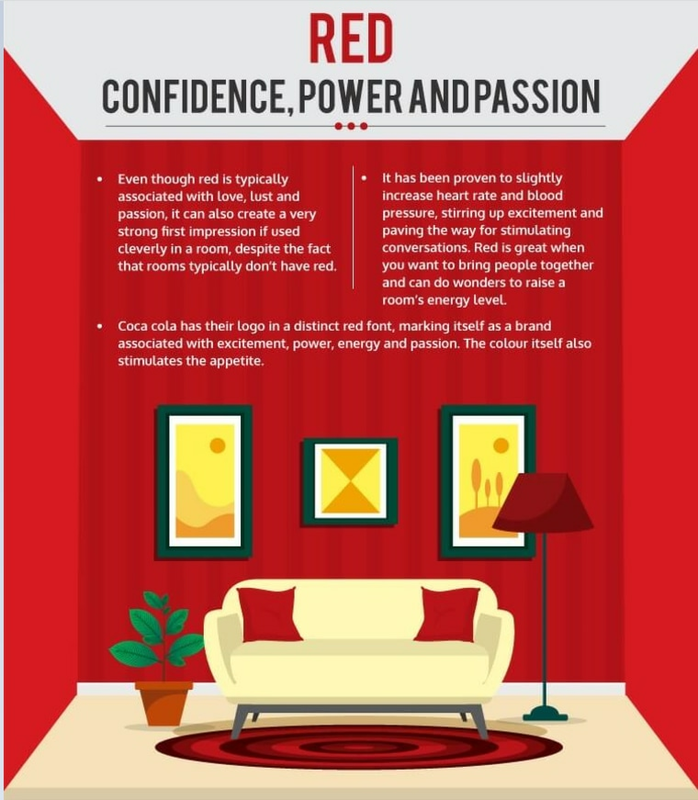 The colour of passion and confidence, red certainly isn’t a colour for the fainthearted. Ideally placed in a dining room, used sparingly the right shade of red will add vibrant energy to your next dinner party. Nothing brightens a room quite like the colour yellow. 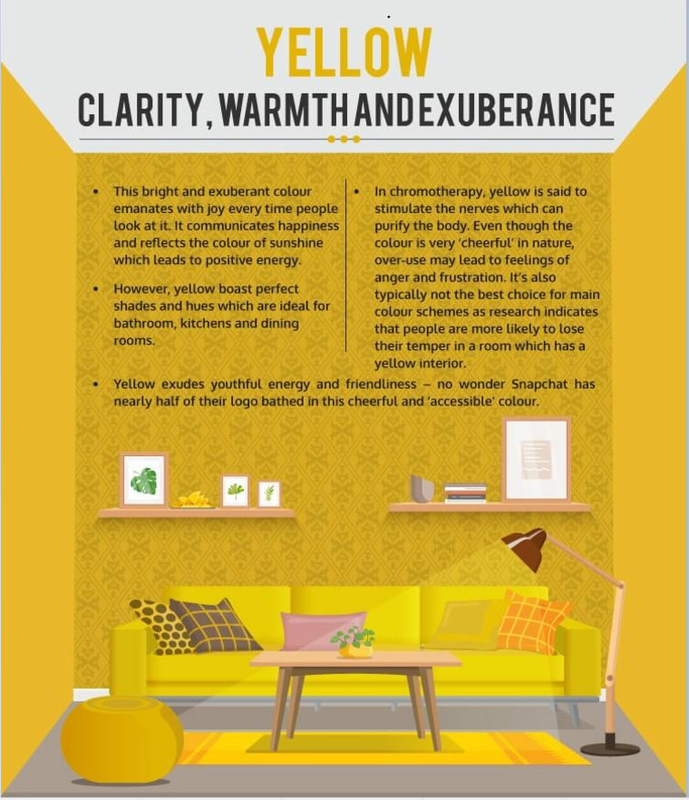 Youthful, warm and undeniably cheerful, consider using touches of yellow in your bathroom or kitchen to elevate the space – you’ll be amazed what a difference it can make. A relaxing, soothing shade of blue is perfectly suited to restful spaces. 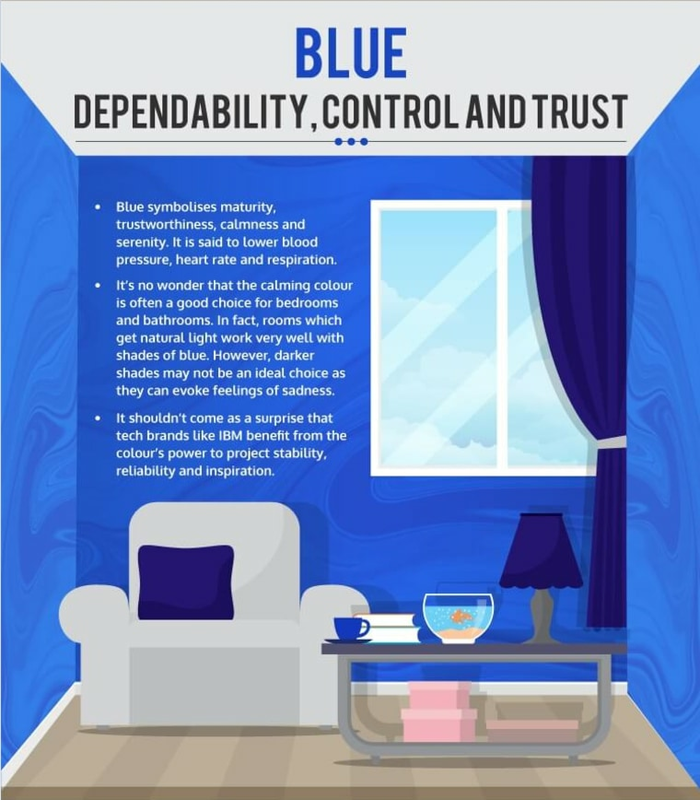 Bedrooms, in particular, will benefit from the calming effects of this colour, but possessing such universal appeal, blue can be used to transform any room of the home. Adding a subtle hint of blue, perhaps in the form of a teal tub chair, can make a big impact on any space. 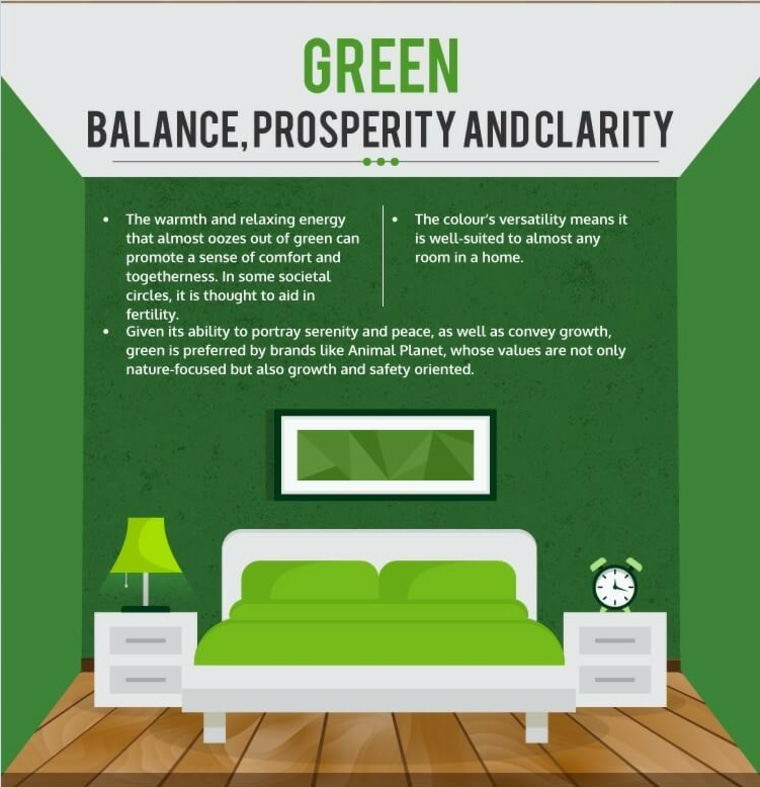 With all the versatility of blue, but an added layer of warmth, green is truly an underrated colour in homes. Green has a comforting appeal and with its varying shades can make a room seem equally airy, cosy or fresh. This rich, distinctive colour is often synonymous with royalty, for good reason. Purple simply oozes sophistication and creates warmth and depth in a room, ideal for entertaining. 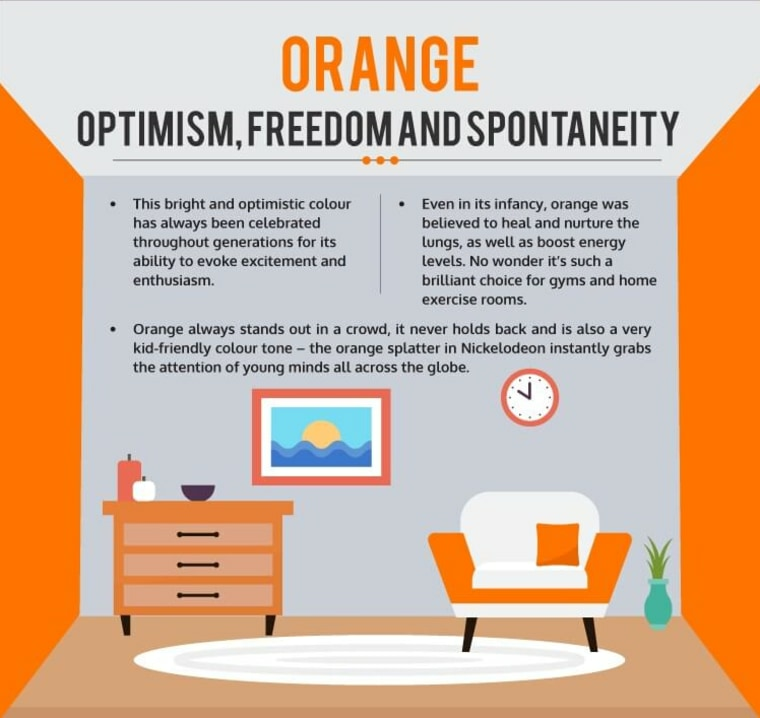 While orange hasn’t been a colour seen in many homes over recent decades, it certainly has its place. The unbridled optimism and sense of freedom that this colour elicits make it a fantastic choice for home-gyms and children’s playrooms. Another underrated colour, crimson is warm and welcoming, yet serious. This deep, dramatic tone has an air of academia, making it an obvious choice for a reading nook or study. With Scandinavian simplicity making a resurgence, the rise of neutral and monochromatic interiors has never been more apparent. A classy, restful neutral palette can’t be overstated, and with its timeless appeal, accentuating with pops of colour becomes effortless.